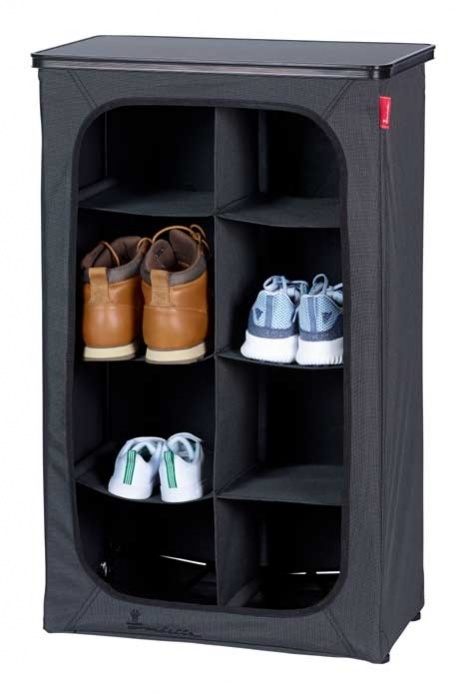 It can be shoe chaos inside the front door of your caravan, tent, motorhome or awning especially if there are a few of you, including children. If not stowed away, footwear can be a tripping hazard and no one wants their holiday ruined through unnecessary injury. The Isabella Shoe Organiser can solve this problem. It has eight compartments and can be stood vertically or horizontally, depending on the available space you have. It has an aluminium frame with a textile covering and is easy to fold away when not in use. It is dark in colour with the Isabella name on a red tab attached to one edge. It weights 4.6 kg and is 50 x 30 x 85 cm in size. 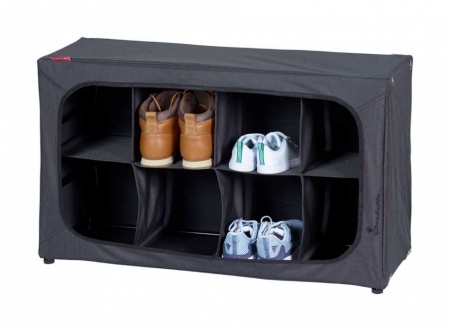 Although the Shoe Organiser has eight storage compartments, if you have children with small feet, it would be possible to pop a few pairs of their shoes in one space. If you have dogs, it can also be used to store leads, collars, and harnesses. Uses: Ideal for caravans, motorhomes and camping.